For some reason tonight I've been procrastinating on posting - I got distracted by a fashion blog that had me obsessively searching for a shirt that was sold out, which led me to looking at digital print shirts and dresses, to looking at printed pants and then finally to Bluefly where I purchased a pair of skinny jeans and a blouse with some credit that I had lingering around. This was all done while I while was listening to the Palladium channel - it was a U2 concert that had Mick Jagger and Bruce Springstine singing duets with the one and only Bono. It was a pretty awesome concert that I wish I could have seen live. I guess listening to it on TV is the second best option. Nothing beats aimlessly shopping on the internet while listening some great music. 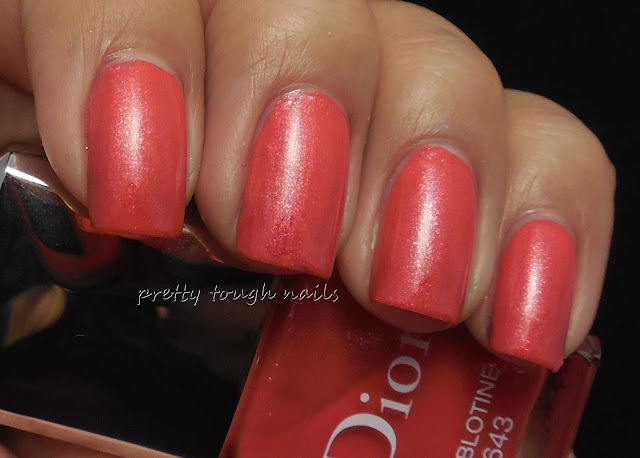 Tonight's swatch is a hastily applied Dior Diablotine, an muted orange with pink and orange glassflecks. 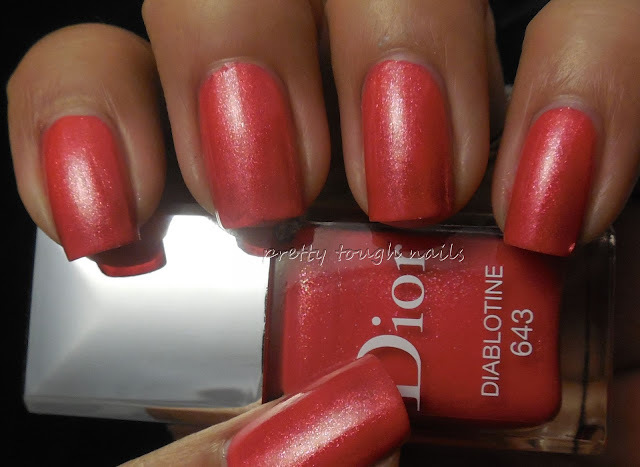 It's a pretty awesome color and it applied flawlessly in two coats. I still have to get use to those big paddle brushes that Dior uses, but I'm getting better at it! The glassflecks really capture sunlight beautifully during the day, and I ended up wearing this all weekend. I topped it off with a layer of Poshe to add shine and add durability. Look at those flecks! 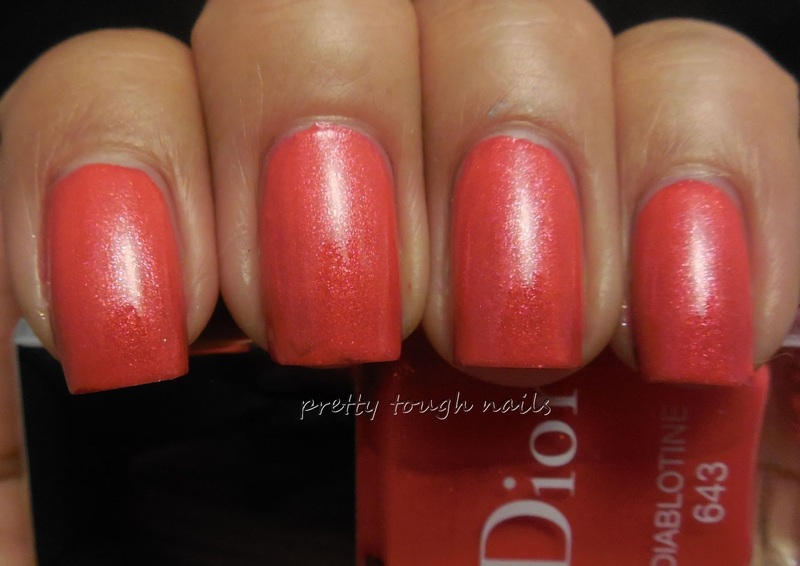 I really love when Dior comes up with polishes like these, they have the formula down pat. 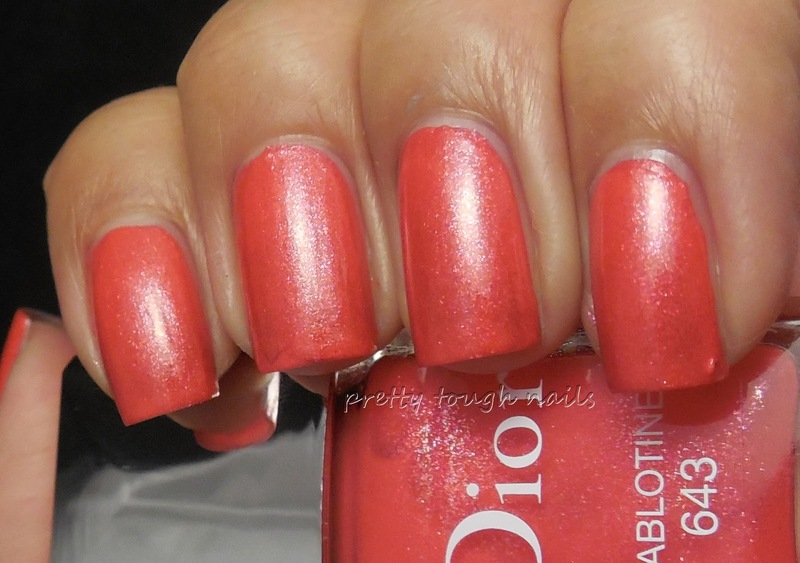 This color is great for summer, bright and cheerful and made to shimmer in sunlight. I'd love to purchase more but too many Diors can really hurt the wallet, especially if you aimlessly shop online like I do. 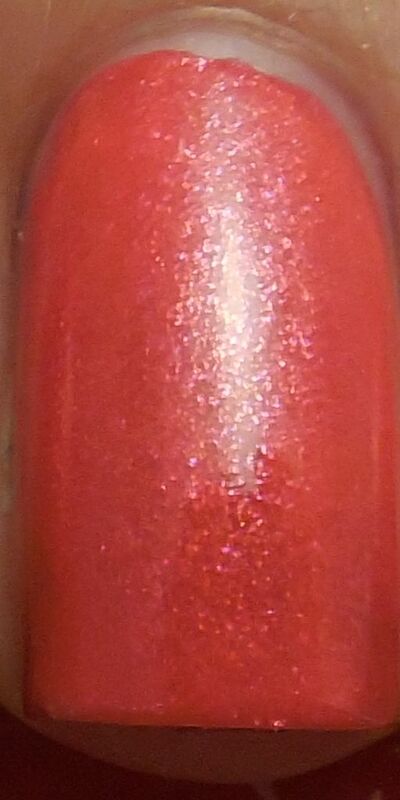 What's your last impulse buy polish?